No disruption to passenger train services (which finish silly-early in the evening) but a warning of noise to neighbours. The work is between WEY 102M32 and WEY 104M42 which according to my calculations is somewhere behind Holt - between Broughton Gifford and the River Avon at Staverton - so most of the neighbours will be cows and sheep and fields of cereal crops and maize. 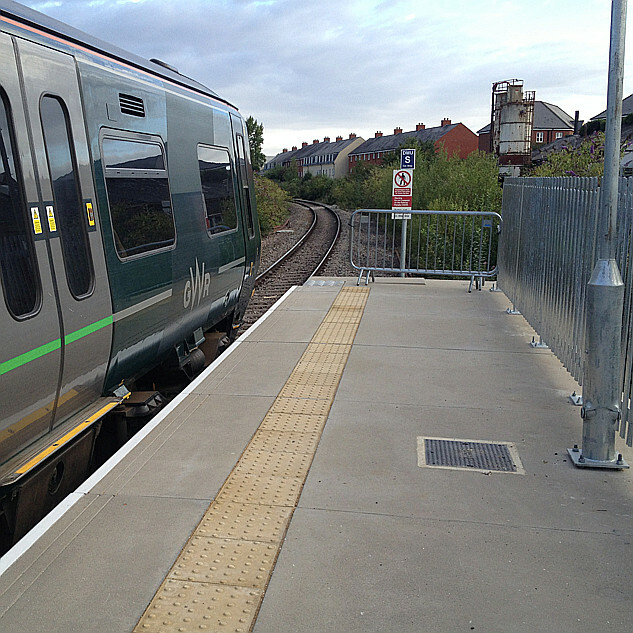 GWR SWINDON-WESTBURY SERVICE NOT TO OPERATE. REPLACEMENT ROAD TRANSPORT REQUIRED FOR MELKSHAM PASSENGERS. CURRENT NBS PERIOD FOR FREIGHT SERVICES. ANY FUTURE FREIGHT / ENGINEERING HAULAGE / NETWORK SERVICES TO BE TIMED OVER ALTERNATIVE ROUTES. WORK DETAILS = PLTR MELKSHAM. PLTR is Plain Line Track Renewals, not PLaTfoRm 2 construction works sadly.